Fullname: Lance G. McCullers Jr. Draft: 2012, Houston Astros, CAth rd. Lance and his wife, Kara, reside in Houston, Texas...Graduated from Jesuit High School in Tampa, Fla., in 2012...during his senior season, was named the 2012 Gatorade National Baseball Player of the Year after going 13-0 with a 0.18 ERA and 140 strikeouts in 77.0 innings pitched...was named an All-American by ESPNHS, Baseball America, Rawlings, Perfect Game, MaxPreps and Louisville Slugger during his senior year...Was named the 2011 Jackie Robinson Award winner as the country's top rising senior...the award was presented to him by Trevor Hoffman and Tommy John...Selected by Houston with the 41st overall pick in the supplemental first round of the 2012 draft...the Astros acquired this supplemental pick for the free agent loss of Clint Barmes...signed by scout John Martin...Is the son of former Major League pitcher Lance McCullers Sr., who pitched seven seasons in the Major Leagues with the Padres (1985-88), Yankees (1989-90), Tigers (1990) and Rangers (1992)... Lance and his father were both selected with the 41st overall pick in their respective draft classes...IN THE COMMUNITY: Lance and his wife Kara share a passion for pet rescue and animal advocacy... together they established The Lance McCullers Jr. Foundation, a non-profit organization that invests, brings awareness and creates programs aimed at advocates for stray and homeless animals across the country...organizations they support include the Houston SPCA, Houston Humane Society and Houston Pets Alive!...Was a finalist for the 2016 Marvin Miller Man of the Year Award as the AL West's representative...Selected to the Major League roster on May 15, 2015...was arbitration eligible for the second time this offseason...agreed to terms on a one-year contract for the 2019 season on Jan. 11, 2019. Tossed a career-high 128.1 innings pitched and struck out a career-high 142 batters in what was his fourth Major League season...also set career high marks in wins (10) and appearances (25)...made 22 starts before suffering an elbow injury in August...returned to the club in September and pitched in three games out of the bullpen, the first regular season relief appearances of his career...went 10-6 with a 3.93 ERA (55ER/126IP) and 138 strikeouts in his 22 starts...threw 2.1 hitless innings with four strikeouts in his three relief outings...became the youngest Astros pitcher to record 10 wins prior to the All-Star Break of a single season since Wade Miller (24) went 11-3 prior to the break in 2001...prior to hitting the DL, was leading the AL in groundball rate...finished the season with a 55.5% groundball rate...threw his changeup at a career-high rate for a single season (16%)... previous career-high was 12% in 2017...recorded four double-digit strikeout games, giving him 12 for his career... became the second pitcher in club history with 12+ double-digit strikeout games prior to turning 25 years old... also Don Wilson (16)...made his second-career Opening Day roster...was placed on the 10-day Disabled List with right elbow discomfort on Aug. 5...activated from the DL on Sept. 24...started the Astros third game of the season and struck out 10 Rangers hitters in 5.1 innings on March 31 at TEX...led Houston to a 9-3 win...pitched a gem on April 17 at SEA, striking out 11 and allowing just one run on one hit in 7.0 innings pitched...tied his single-game career-high for strikeouts...retired 19 of the final 20 batters he faced...carried a perfect game into the 6th inning on April 28 vs. OAK...held a perfect game through 5.0 innings on May 20 vs. CLE...finished with 7.0 scoreless innings in Houston's 3-1 win...struck out a career-high 12 batters on July 6 vs. CWS...gave up one run on three hits over 7.0 innings, walking none...took a no-hitter into the 6th inning...became the second-youngest pitcher in club history to have a game with 12 strikeouts and no walks (24 years, 277 days) behind Larry Dierker, who had two games like this as a 22-year-old in 1969...pitched in five games in the postseason, posting a 1.80 ERA (1ER/5IP) with two walks and four strikeouts...was scoreless in Game 1 (1IP) and Game 3 (1IP) of the ALDS...recorded a hold in Game 1 of the ALCS at BOS in the Astros 7-2 win. Was an All-Star for the first time in his career and a hero during the postseason...at 23 years old, became the second-youngest pitcher in club history to make an All-Star Team, behind RHP Larry Dierker, who was 22 in his 1969 All-Star season...won a career-high seven games while tying his career-high for starts (22)...posted careerbest marks in walk rate (7.8%) and walks per 9.0 innings ratio (3.03)...put up the highest groundball rate of his career with a 61.9% mark...ranked second in the Majors in groundball to flyball ratio (4.00) among pitchers with at least 100.0 innings pitched, behind only teammate LHP Dallas Keuchel (4.41) had a tremendous first half of the season before hitting the Disabled List for two stints over the second half of the season...posted the second-best home runs per 9.0 innings ratio (0.61) and 10th-best strikeouts per 9.0 innings ratio among AL pitchers with at least 100.0 innings pitched...went 7-2 with a 3.05 ERA (31ER/91.1IP), 106 strikeouts and a .224 opponent batting average in 16 starts prior to the All-Star Game...named the AL Pitcher of the Month for May after going 4-0 with a 0.99 ERA (4ER/36.1IP), 37 strikeouts and a .164 opponent batting average in six May starts...led the AL in ERA during the month, while ranking tied for second in wins and tied for third in opponent batting average...was the fourth-lowest ERA during the month of May in franchise history, behind RHP Nolan Ryan (0.20 in 1984), LHP Mike Cuellar (0.86 in 1968) and LHP Hal Woodeshick (0.96 in 1963)...made his debut on an Opening Day roster and started the club's second game of the season...made 13 starts before hitting the 10-day Disabled List on June 12 with lower back discomfort...missed 14 games...was activated on June 24...made six more starts before getting placed back on the DL with back discomfort...missed 34 games during his second DL stint and was activated on Sept. 6...struck out 10 batters in 7.0 innings on April 9 vs. KC, his second start of the season...was his seventh career double-digit strikeout game...became the second pitcher in club history to have multiple games with no walks and 10 strikeouts prior to turning 24, joining Larry Dierker...became the first Astros pitcher since Roger Clemens in 2005 to open up a season with consecutive starts of at least seven strikeouts and no more than two walks... made his first scoreless start on April 20 vs. LAA...gave up just three hits in 6.2 innings, striking out eight...had a 22.0-inning scoreless streak that spanned four starts from May 6-23...ranked as the longest by an Astros starting pitcher since RHP Roy Oswalt posted a 32.0-inning streak from Aug. 27-Sept. 11, 2008...prior to McCullers, the last Astros starting pitcher to allow zero earned runs while going at least 5.0 innings in four consecutive starts was RHP Nolan Ryan in 1984...it was also the longest such streak in the Majors since RHP Zack Greinke had a six-game streak from June 18-July 19, 2015...the first three of those four starts came on the road...became the first Astros pitcher to allow zero earned runs while going at least 6.0 innings in three consecutive road starts since RHP Roger Clemens from 2004-05...allowed a career-high nine hits on July 6 at TOR...had allowed eight hits or less in each of his first 51 career starts prior to the outing...that was the longest streak by an Astros starting pitcher to begin his career in club history (previously RHP J.R. Richard, did not allow more than eight hits in each of his first 36 career starts)...allowed five runs in 4.2 innings on July 17 vs. SEA...was his first-ever start at home where he allowed more than three runs...snapped his 27-game streak of surrendering three runs or less at home, the longest in Major League history by a pitcher to begin his career...tied for the third-longest home streak overall in Major League history with Clayton Kershaw (2008-10), behind a 30-game streak by Kershaw (2013-15) and a 28-game streak by Adam Wainwright (2009-2010)...also marked the first time in his career that he allowed at least four runs in back-to-back starts...made two rehab appearances, one each with Triple A Fresno (Aug. 25) and Double A Corpus Christi (Aug. 30)...appeared in five postseason games, making three starts...made his first career Major League relief appearance in Game 3 of the ALDS at BOS...struck out four and allowed two runs in 3.0 innings pitched in Houston's 10-3 loss...was scoreless in his first 3.0 innings, giving up both of his runs after coming on for a fourth inning of work where he did not record an out...started Game 4 of the ALCS at NYY, tossing 6.0 innings of one-run ball...allowed just two hits, one a solo homer to Aaron Judge...left the game with the lead, but the Astros bullpen could not hold on as the club fell 6-4 to the Yankees...got the save in Game 7 of the ALCS vs. NYY after throwing 4.0 shutout innings...was the seventh save of at least 4.0 innings in MLB postseason history, and the first since Madison Bumgarner's save in Game 7 of the 2014 World Series...became the first pitcher in MLB history to strike out at least six batters in a postseason save...at 24 years, 19 days old, became the third-youngest pitcher in MLB history to record a save in a Game 7, behind LHP David Price (2008 ALCS, 23.054) and LHP Will McEnaney (1975 World Series, 23.250)...allowed just one hit and one walk to preserve Houston's 4-0 victory...threw 24 straight curveballs to end the game...started Games 3 and 7 of the World Series...got the win in Game 3 after allowing three runs on four hits in 5.1 innings pitched...became the youngest starting pitcher to get a win in the World Series since RHP Noah Syndergaard (23.062) in 2015 (Game 3)...was his first career postseason victory...did not factor into the decision in Game 7, as he went 2.1 scoreless innings pitched...allowed three hits and hit four batters, a Major League record for a postseason game...24 years, 30 days, became the youngest pitcher to start Game 7 of the World Series since RHP John Lackey (24 years, 4 days) led the Angels to a 4-1 win over the Giants in Game 7 of the 2002 World Series...recorded an RBI groundout, becoming the first pitcher with an RBI since San Francisco's Barry Zito in Game 1 of the 2012 World Series, and the first American League pitcher with an RBI in the Fall Classic since Andy Pettitte of the Yankees in Game 3 of the 2009 World Series...became the first American League pitcher to collect an RBI in Game 7 of a World Series, and the first pitcher overall in Game 7 since Jesse Orosco of the Mets in 1986.
years, 299 days old) to defeat the Yankees while recording 10+ strikeouts, behind only RHP Moose Haas (21.355 in 1978), LHP Matt Moore (22.096 in 2011) and RHP Mark Prior (22.274 in 2003)...posted double-digit strikeouts in consecutive starts from July 22-27...became the first Astros pitcher with consecutive double-digit strikeout games since LHP Wandy Rodriguez did so from Sept. 11-17, 2010... among AL pitchers in July, ranked second in strikeouts (44) and eighth in ERA (2.08, 7ER/30.1IP)...was the lowest ERA he produced in a single month in his career...his 13.05 strikeouts per 9.0 innings ratio in July (44SO/30.1IP) ranked fifth all-time in AL history for a single July, trailing only RHP Pedro Martinez (13.94 in 2000), RHP Nolan Ryan (13.89 in 1989) and LHP Randy Johnson (13.38 in 1994; 13.14 in 1997)...was removed from his start on Aug. 2 vs. TOR with discomfort in his right elbow after allowing two runs in 4.2 innings...allowed multiple home runs for just the second time in his career... snapped a 15-start streak in which he had not allowed multiple home runs in a game...struck out at least six batters in 13 consecutive starts from May 20-Aug. 2...became the second pitcher in club history to strike out six in 13 consecutive starts, joining RHP Mike Scott (14 in 1986) and RHP Bud Norris (2010-11)...made two official rehab starts in the minor leagues...threw 3.0 innings and allowed one run on April 11 at Springfield with Double A Corpus Christi...returned to extended Spring Training for a month after that start, before making a rehab start at Triple A Fresno on May 7...threw 5.0 scoreless innings and struck out seven at El Paso in that rehab start. Had one of the best rookie seasons by a pitcher in club history, ﬁnishing among the top 10 Astros rookies all-time in strikeouts per 9.0 innings (2nd, 9.24), opponent batting average (4th, .226), ERA (7th, 3.22) and strikeouts (7th, 129) (min. 100IP)...led all American League rookies in ERA, opponent batting average and strikeouts per 9.0 innings in 2015 (min. 100IP), while ranking third in strikeouts and wins above replacement (2.4)...made 22 starts in his debut season in the Major Leagues, going 6-7 while allowing three earned runs or less in 20 of his outings...was the second-youngest starting pitcher in the Major Leagues, behind Yankees RHP Luis Severino...among AL pitchers with at least 100.0 innings pitched, ranked sixth in strikeouts per 9.0 innings and seventh in ERA and opponent batting average...became the ﬁrst pitcher in club history and the seventh in Major League history to allow three earned runs or less in 20 of his ﬁrst 22 career starts...the only others to do this were: Stephen Strasburg (21g), Aaron Sele (21g), Mike Witt, Brandon Webb, Bruce Ruﬃn and Gerrit Cole...his 129 strikeouts ranked second all-time in club history within a player's ﬁrst 22 career games, behind RHP Tom Griﬃn (145 in 1969)...threw 157.2 combined innings between the Majors (125.2) and minors (32.0), which marked a single season career-high in his professional career (previously 104.2IP with Class A Quad Cities in 2013)...per PITCHf/x, his average fastball velocity (94.2 mph) ranked third among AL rookie starters...spent Spring Training at minor league camp, but did make two appearances with the Major League team...started the regular season at Double A Corpus Christi before getting promoted to Triple A Fresno on May 14...did not pitch in a game at Triple A and was selected to the Major League roster on May 15...remained with the club until Aug. 3, when he was optioned to Double A...made just one appearance with Corpus Christi during his ﬁnal stint with the club before getting recalled to Houston on Aug. 23...made his Major League debut on May 18 vs. OAK...at 21 years, 228 days, became the youngest Astros player to make his MLB debut since Jose Altuve (21 years, 75 days) on July 20, 2011...became the second-youngest pitcher in club history to make his debut in a start at Minute Maid Park, behind LHP Carlos Hernandez (21 years, 118 days) on Aug. 18,2001 vs. DET...tossed 4.2 innings and allowed just one run in his MLB debut...struck out ﬁve and walked three while taking a no-decision in the Astros 2-1 loss...became the sixth starting pitcher in club history to allow one run or less in his Major League debut, joining RHP Jarred Cosart (7/12/13), LHP Dallas Keuchel (6/17/12),LHP Carlos Hernandez (8/18/01), RHP Manny Hernandez (6/5/86) and RHP Dan Larson (7/18/76)...picked up his ﬁrst Major League win in what was his second MLB start on May 23 at DET...tossed 6.0 innings, allowing two runs on six hits, while fanning six...struck out 11 batters in a one-run complete game eﬀort on June 3 vs.CWS...marked his ﬁrst professional complete game (never threw one in the minors)...became the ﬁrst Astros rookie to toss a complete game since LHP Brett Oberholtzer on Sept. 20, 2013 at CLE (6IP)...also became the ﬁrst Astros rookie to strike out 11 batters in a complete game since RHP Roy Oswalt struck out 12 on Sept. 9, 2001 vs. MIL...became just the second rookie in franchise history to strike out 11 batters without a walk in a complete game, joining RHP Shane Reynolds, who did so on July 23, 1994 vs. PIT...on June 14 vs. SEA, tossed 5.0 hitless innings...at 21 years, 255 days, became the youngest pitcher to toss at least 5.0 hitless innings in a start since RHP Phil Hughes (20.311) on May 1, 2007 at TEX...since 1970, only four pitchers younger than McCullers recorded a start of at least 5.0 hitless innings: Hughes, LHP Wilson Alvarez (1991), RHP Dennis Blair (1975) and LHP Vida Blue (1970)...ﬁnished June with a 2.11 ERA (9ER/38.1IP),which marked the lowest ERA posted by an Astros rookie during the month of June since RHP Darryl Kile put up a 1.80 ERA in June of 1991...his .164 opponent batting average (22x134) in June was the lowest produced by an Astros pitcher since RHP Mike Scott in June of 1987 (.164, 26x159), and the lowest produced by an Astros rookie during the month...among AL rookies in June, ranked ﬁrst in strikeouts (40), tied for ﬁrst in wins (3) and third in ERA...received votes for AL Rookie of the Month, which ended up being awarded to teammate Carlos Correa...closed out the Astros ﬁrst half of play with a 4-3 loss to the Rays on July 12, in his hometown of Tampa Bay...despite giving up four earned runs in 6.0 innings, fanned 10 batters...was the second double-digit strikeout game of his career...became the ﬁrst Astros pitcher to record two double-digit strikeout games in his ﬁrst 11 starts since RHP Tom Griﬃn recorded three in 1969...started one postseason game for Houston (ALDS Game4), becoming the youngest pitcher in club history to start a playoﬀ game (22 years, 10 days old)...prior to McCullers, LHP Mike Hampton held the club record as he started Game 2 of the 1997 NLDS at 25 years, 22 days old...became the youngest AL pitcher to toss at least 6.0 innings while allowing two runs or less in his ﬁrst career postseason game since LHP CC Sabathia in Game 3 of the 2001 ALDS...was named a Texas League Midseason All-Star at Double A Corpus Christi after allowing just two earned runs in his 29.0 innings (0.62ERA), striking out 43...at the time of his promotion to Triple A, was leading all Double A pitchers in opponent average (.146), while ranking second in ERA and tied for fourth in strikeouts...prior to the season, was ranked as a top 10 Astros prospect by multiple publications: Baseball Prospectus (#7), Baseball America (#9) and ESPN.com (#6). Who are the very best gamers in the Major Leagues? 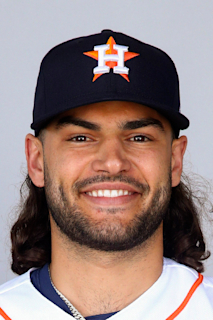 March 28, 2019 Houston Astros placed RHP Lance McCullers Jr. on the 10-day injured list retroactive to March 25, 2019. Right elbow surgery. September 24, 2018 Houston Astros activated RHP Lance McCullers Jr. from the 10-day injured list. August 5, 2018 Houston Astros placed RHP Lance McCullers Jr. on the 10-day disabled list. Right elbow discomfort. September 6, 2017 Houston Astros activated RHP Lance McCullers Jr. from the 10-day disabled list. August 30, 2017 Houston Astros sent RHP Lance McCullers Jr. on a rehab assignment to Corpus Christi Hooks. August 24, 2017 Houston Astros sent RHP Lance McCullers Jr. on a rehab assignment to Fresno Grizzlies. July 31, 2017 Houston Astros placed RHP Lance McCullers Jr. on the 10-day disabled list. Back discomfort. June 24, 2017 Houston Astros activated RHP Lance McCullers Jr. from the 10-day disabled list. June 12, 2017 Houston Astros placed RHP Lance McCullers Jr. on the 10-day disabled list retroactive to June 9, 2017. Lower back discomfort. October 3, 2016 Houston Astros activated RHP Lance McCullers Jr. from the 15-day disabled list. August 3, 2016 Houston Astros placed RHP Lance McCullers on the 15-day disabled list. Right elbow discomfort. May 13, 2016 Houston Astros activated RHP Lance McCullers from the 15-day disabled list. May 7, 2016 Houston Astros sent RHP Lance McCullers on a rehab assignment to Fresno Grizzlies. April 11, 2016 Houston Astros sent RHP Lance McCullers on a rehab assignment to Corpus Christi Hooks. October 8, 2015 Houston Astros activated RHP Lance McCullers. October 6, 2015 Houston Astros reassigned RHP Lance McCullers to the minor leagues. August 23, 2015 Houston Astros recalled RHP Lance McCullers from Corpus Christi Hooks. August 3, 2015 Houston Astros optioned RHP Lance McCullers to Corpus Christi Hooks. May 18, 2015 Houston Astros selected the contract of Lance McCullers from Fresno Grizzlies. May 14, 2015 RHP Lance McCullers assigned to Fresno Grizzlies from Corpus Christi Hooks. April 1, 2015 RHP Lance McCullers assigned to Corpus Christi Hooks from Lancaster JetHawks. March 17, 2015 RHP Lance McCullers assigned to Houston Astros. July 1, 2014 Lancaster JetHawks activated RHP Lance McCullers from the 7-day disabled list. June 19, 2014 Lancaster JetHawks placed RHP Lance McCullers on the 7-day disabled list retroactive to June 17, 2014. June 12, 2014 Lancaster JetHawks placed RHP Lance McCullers on the temporarily inactive list. June 2, 2014 Lancaster JetHawks activated RHP Lance McCullers from the temporarily inactive list. May 29, 2014 Lancaster JetHawks placed RHP Lance McCullers on the temporarily inactive list. April 2, 2014 RHP Lance McCullers assigned to Lancaster JetHawks from Quad Cities River Bandits. September 18, 2013 Quad Cities River Bandits activated RHP Lance McCullers from the temporarily inactive list. August 21, 2013 Quad Cities River Bandits placed RHP Lance McCullers on the temporarily inactive list. April 1, 2013 RHP Lance McCullers assigned to Quad Cities River Bandits from Greeneville Astros. August 4, 2012 Lance McCullers assigned to Greeneville Astros from GCL Astros. June 21, 2012 Lance McCullers assigned to GCL Astros. June 18, 2012 Houston Astros signed RHP Lance McCullers.